Lagos Nigeria Real Estate Dictionary Definition - "Face me I face you" is the colloquail term for single room apartment buildings. 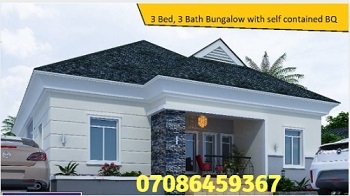 This term originates from the building pattern of single room residential buildings in Nigeria. Buildings in Lagos that are a block of single rooms are usually built in two rows with a passage in-between that leads to the back of the house where the amenities like toilet, kitchen, and bathroom are located. This building design is therefore such that the row of rooms to the left and the right face each other. Hence the term, "face me I face you". Residents of Lagos Nigeria also use this term in a different way . . . a somewhat derogatory manner. In this case, instead of "face me I face you", they say, "face me I slap you". This later term emanates from the fact that single room buildings of this nature have a large number of tenants with numerous children sharing small facilities. Consequently, there are often quarrels that sometime lead to fights. Hence the term, "face me I slap you".